Chris Hadfield is not only the commander of the International Space Station, he was also the first to record a song in space. Now, he’s become the first to record a music video in space — this guy is a hero. 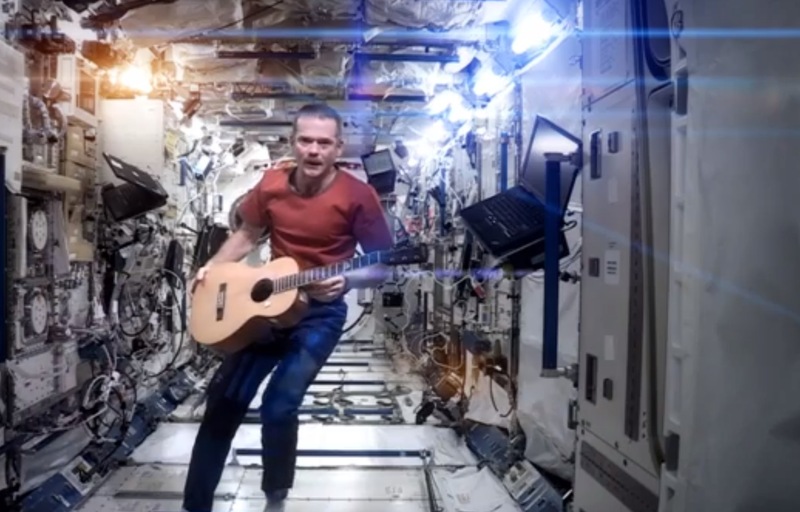 A cover of David Bowie’s “Space Oddity” is perhaps the most fitting song Hadfield could have chosen, and his amazing music video playing guitar while moving throughout the ISS. He probably did a lot of more important, science-y stuff during his stay in space, but this might just be what we’ll all remember him for. If only he could’ve stayed there longer — who knows what he’d do next! Chris Hadfield is returning to Earth on May 14th. Great job, Commander!